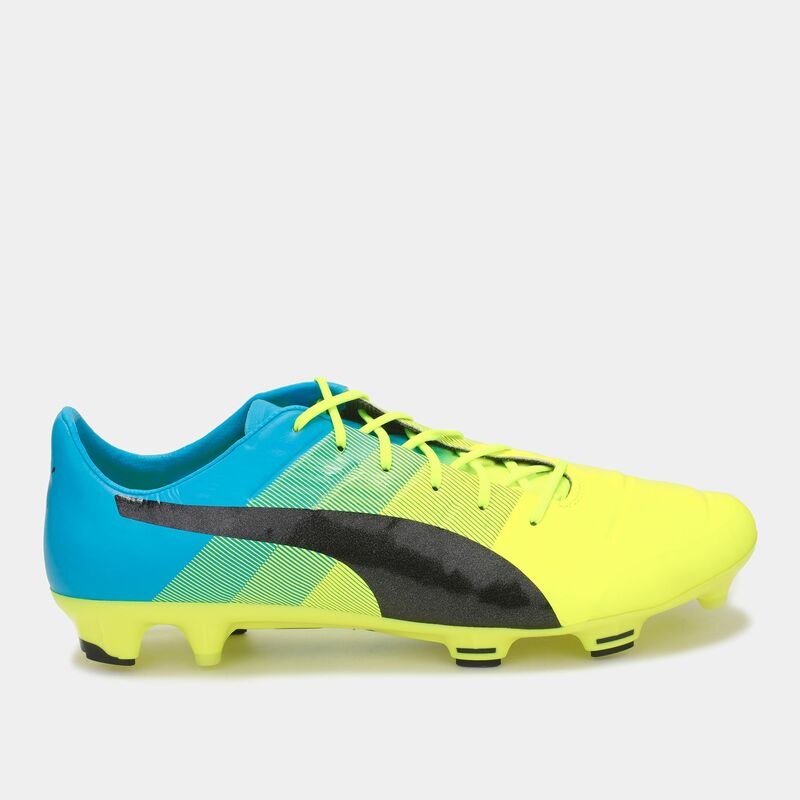 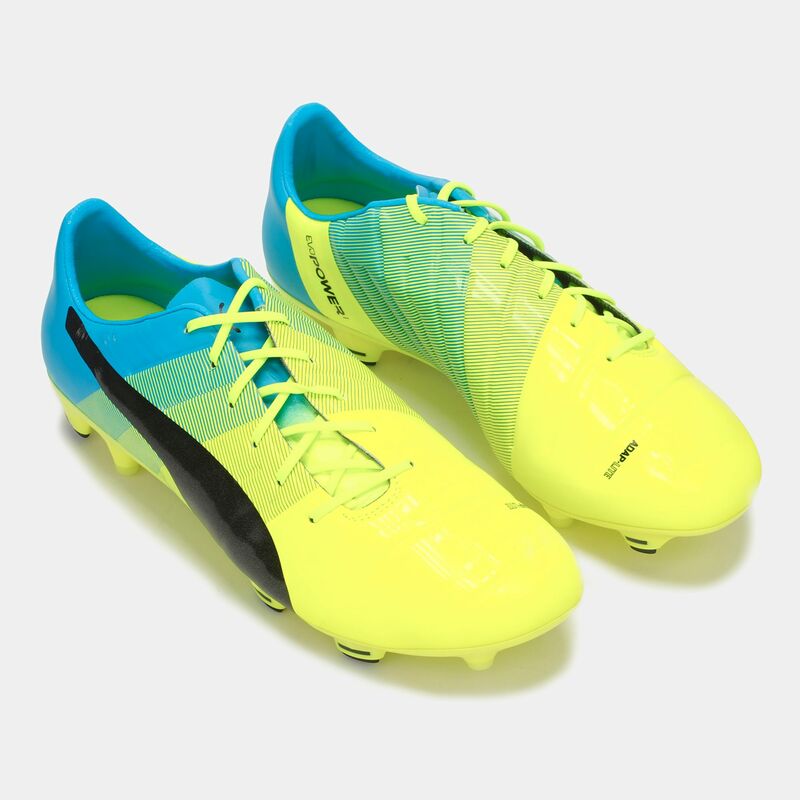 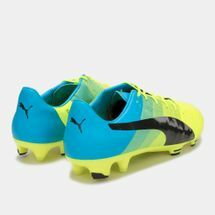 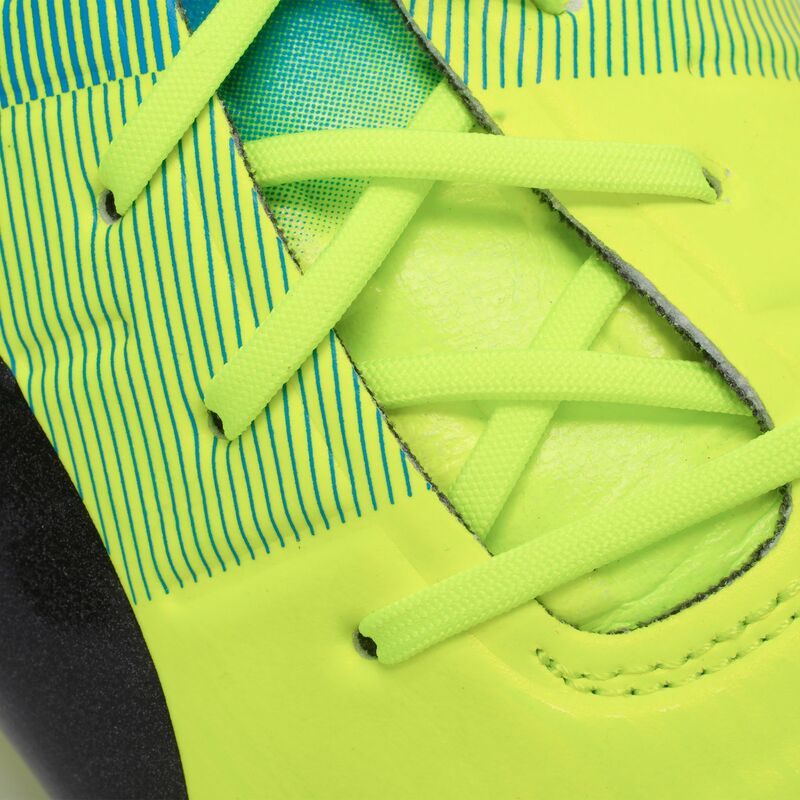 The new generation of PUMA evoPOWER 1.3 Firm Ground Football Shoes for men provide lightweight comfort and durability. Designed with speed in mind they have GripTex print uppers for enhanced ball control with a DuoFlex outsole for enhanced forefoot flexibility and ground contact. 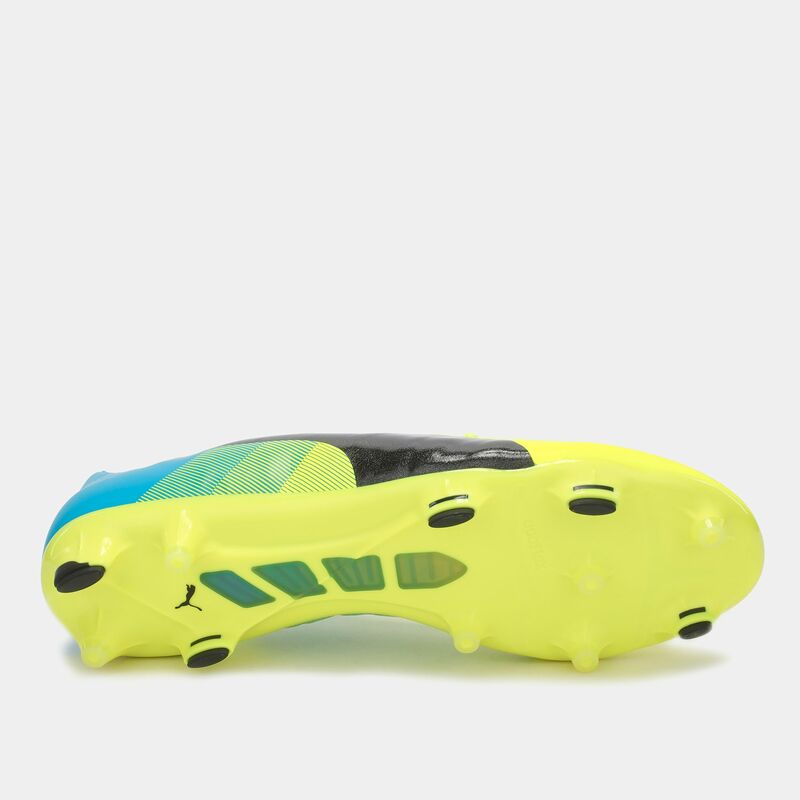 The Pebax® SpeedTrack spine increases reactivity while the anatomically shaped sockliner offers superior comfort and a glove-like fit.